Of all the fabulous places we have explored over the last five months, Kinabalu National Park is one of my favourites. Having found inexpensive lodging here, we have stayed for nearly two weeks in the park, first near park headquarters at 1500 meters in elevation and now at the Mesilau Nature Resort at 2000 meters. 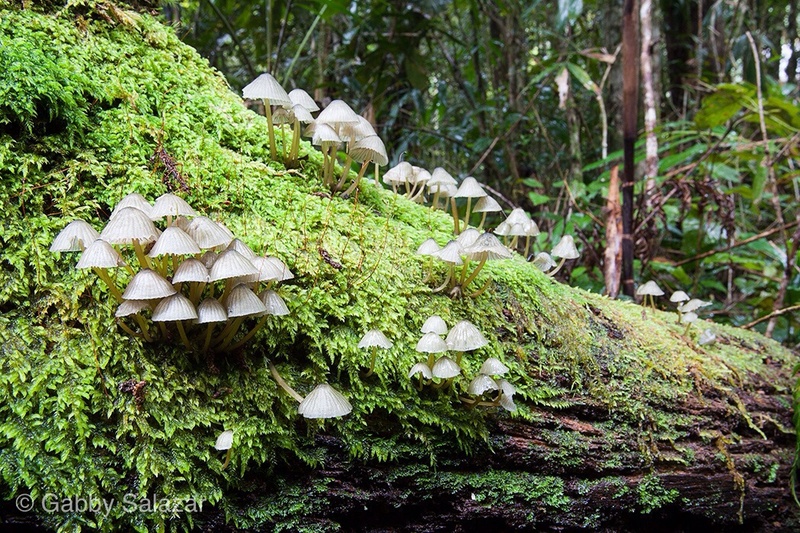 As the tallest mountain in Southeast Asia, Kinabalu is home to many endemic species of plants and animals, from giant pitcher plants to elusive forest birds like the Whitehead’s Trogon. This morning, we paid 10RM each for entry into the naturally growing Nepenthes Garden near Mesilau Nature Resort. Nepenthes is the Genus name for the pitcher plants in this region, which are unrelated to our pitcher plants in the United States (a fascinating case of convergent evolution). We arrived at the nature center early in the morning to sign up for a walk and had a great interaction with the visitor’s center staff: Upon arrival, we were informed that the garden was closed temporarily. When we asked why, we were told that the bridge leading to the gardens was dangerous (no details were provided on what that meant). After a few moments of staring, the woman relented and told us that we could go if we paid the fee and signed an indemnity form. Basically, the garden was only closed to those not willing to relinquish all claims on the Sabah Park Systems if they fell to their death on an unsafe bridge. Since we came all the way up here just to see the endemic Nepenthes, we decided to risk it. We made it safely across the bridge (which was hardly more dangerous than the moss-covered stairway to our cabin) and met up with a Sabah Parks Guide along the way. He agreed to lead us around for the morning, looking for pitcher plants and other species. Walking along, he would pause in mid-step to point out wild begonias, wild ginger, and the delicate blooms of tiny orchids. At one point, he even spied a single slipper orchid hidden amidst thick grasses. Our goal on the hike was to find Nepenthes rajah – the king of the pitcher plants. Endemic to this area, rajah holds the record for the largest pitcher in the world, holding up to two litres of water. 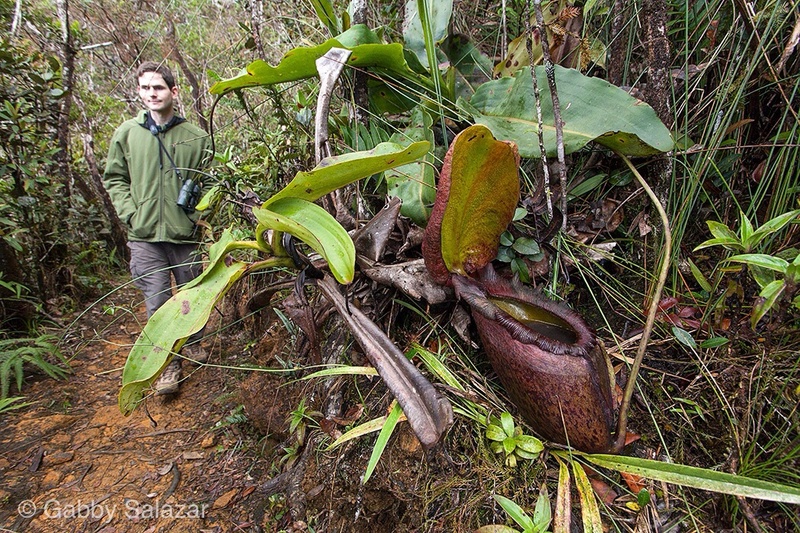 An expert on pitcher plants, our guide recently located a fresh pitcher and offered to take us directly to it. After trudging up a hill and delicately skirting a landslide, we found ourselves in the presence of one of the most impressive plants in existence. If you think the pitcher plants look like toilets (I sure do! 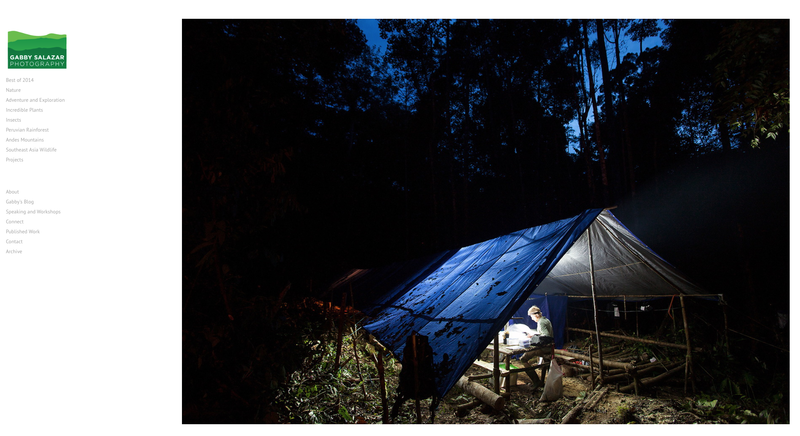 ), you will be interested to learn that tree shrews actually do use them as waste receptacles. 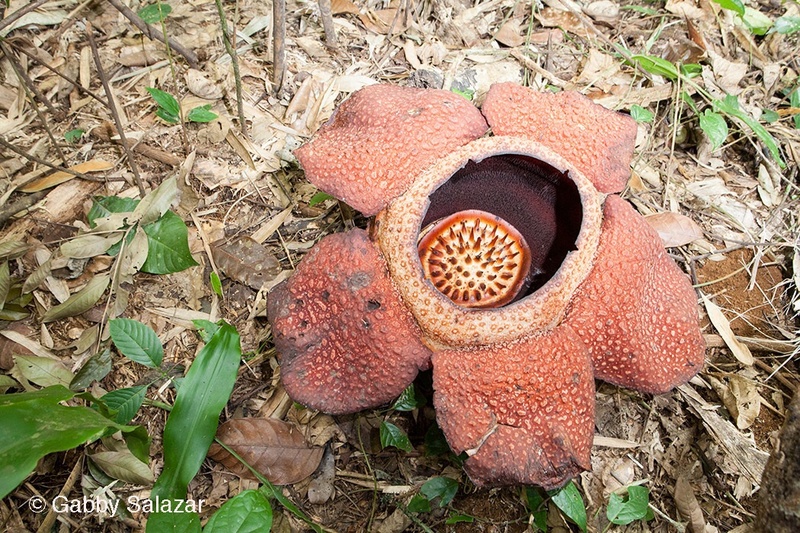 There is some evidence that Nepenthes rajah is used as a toilet, but it is definitely confirmed in Nepenthes lowii (which we have not observed in the wild). In fact, N. lowii is thought to get most of its nutrients from this unique mutualism (the tree shrews get nectar from the lid – effectively having dinner while using the toilet). 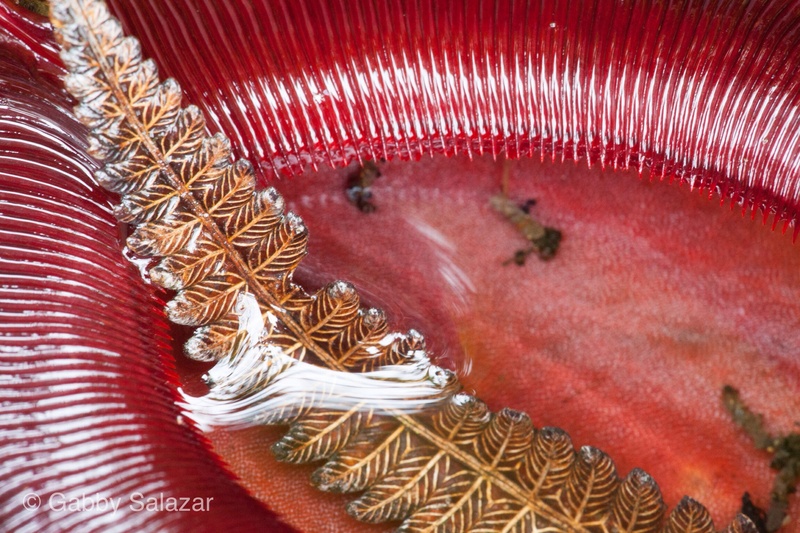 Close-up of the pitcher of N. Rajah. 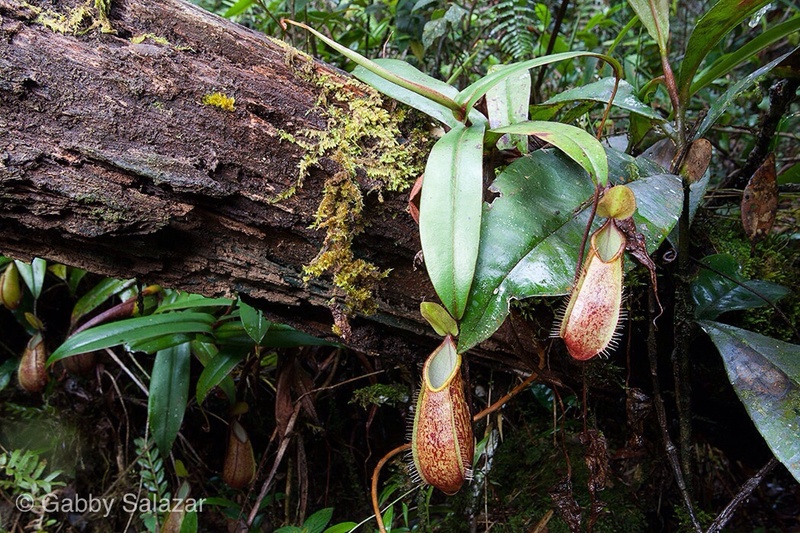 After photographing N. rajah, we went on to see four other species of pitcher plants along the trail. For me, the delicate N. tentaculata, a smallish species with both ground-dwelling and hanging pitchers, was particularly delightful. 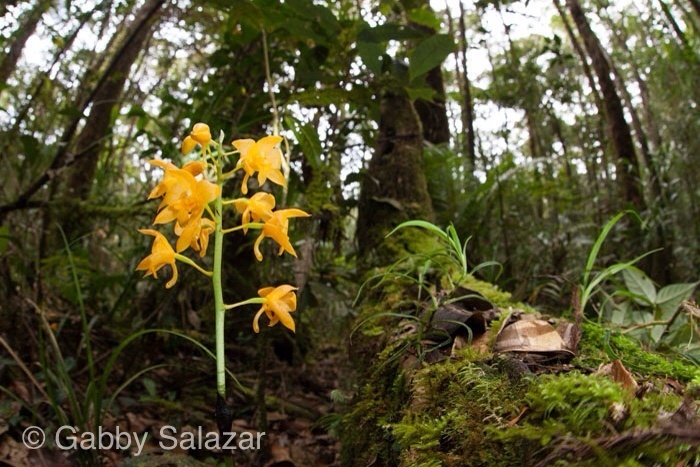 We also found a handful of orchids in bloom, some growing out of fallen logs and others dangling from branches. I do not always pay attention to plants – the movement of birds in the forest canopy distracts me or the sound of a frog draws my attention. Plants are all around us and yet they blend into the background, their individuality obscured by the uniformity of their greenness. It is often only when bright blooms scream out for attention that we turn our heads. 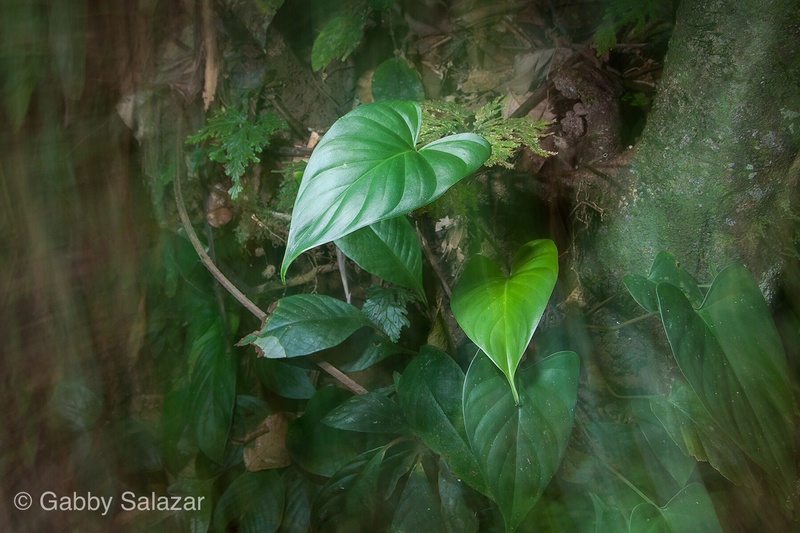 Some scientists have even coined the term “plant blindness” to describe our inability to recognize the importance of plants and to discern individual species. 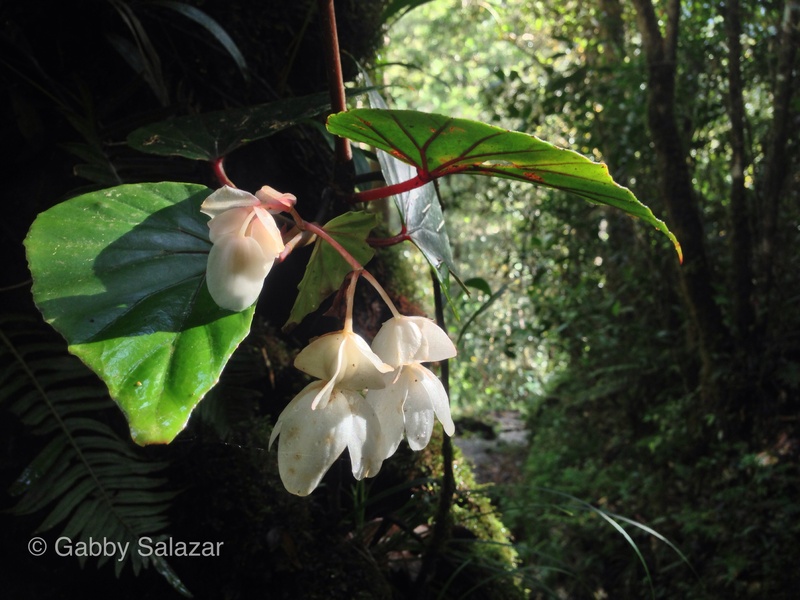 For me, Kinabalu has been the perfect place to fight back against this blindness – to delight in botanizing. As we hiked back down the trail today, I paused to observe things I had missed on the way in – oddly shaped leaves and the massive tree ferns growing in the canopy. I had, in small way, started to see.